Blend aroma is a secret of good coffee. Bags for grounded coffee and beam coffee should not only keep and reinforce natural qualities of the product, but also pay attention of customers. The bags consists of multilayer flexible films with high oxygen barrier and exclusive degasing valve, that let gas out of the bags after beams roasting, keeping aroma and flavor. 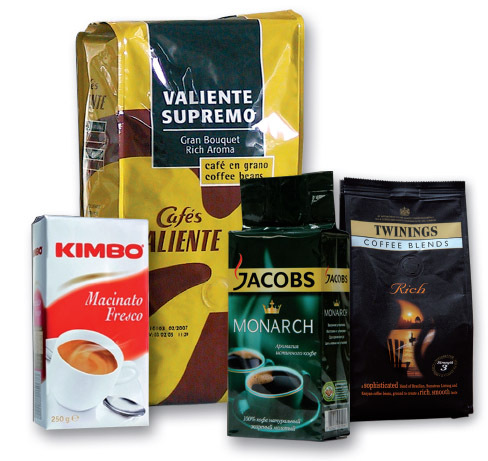 There are produced bags of different forms and configurations (Double Wall, Corner Seal™, Conor® with standard volumes 250, 500 and 1000g with original decisions for multiple opening/closing the bags to create effective packaging. Delivery includes the bags produced in black, red gold and silver color without printing with one-way degasing valve, and also the bags with printing according to the customer design. 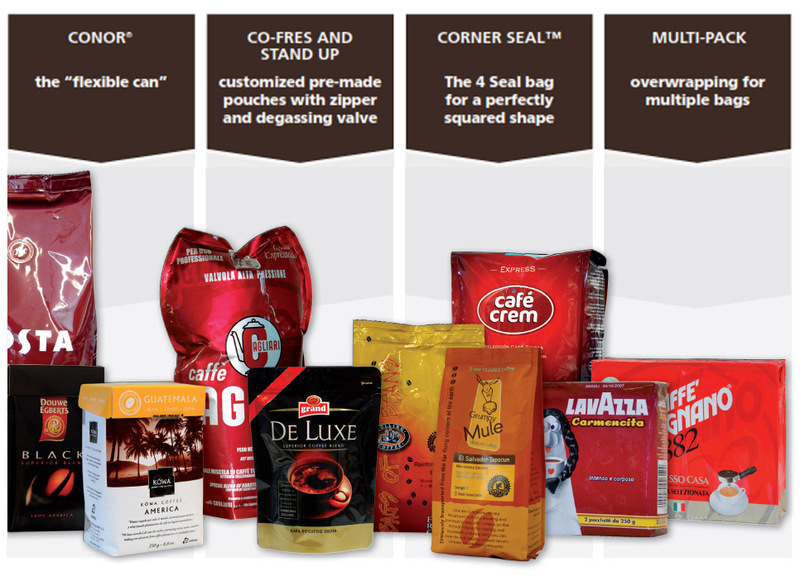 Leader in flexible packaging systems with Headquarters in Italy, Goglio produces bags for bean and grounded coffee. 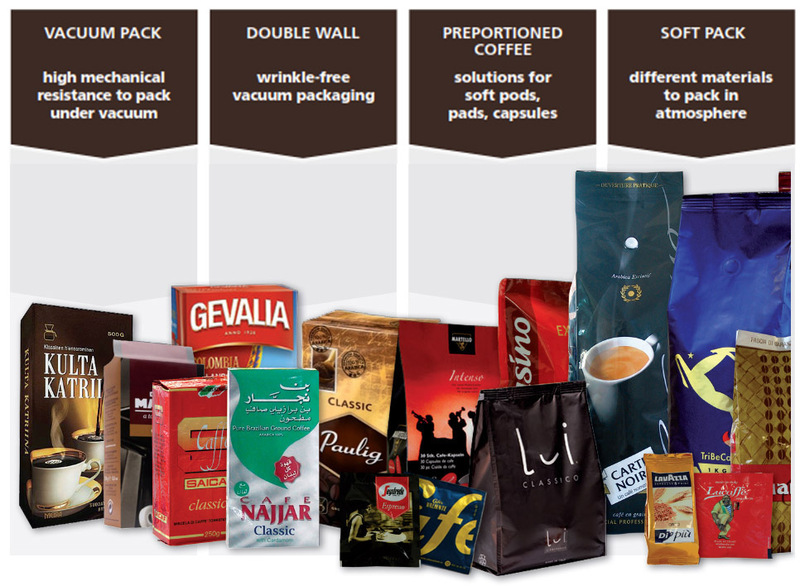 Thanks to its consolidated experience and its solid know-how in coffee packaging, Goglio produces a complete range of packaging machines and bags for grounded and bean coffee. 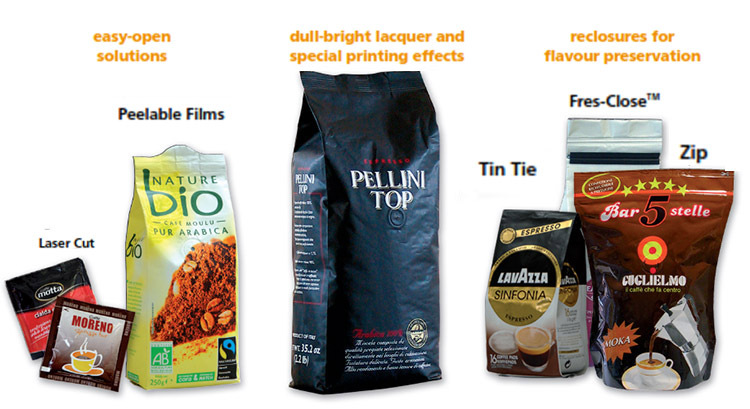 The most respectful producers of roasted coffee choose Goglio packaging.